Does the soul have octopuses? I think that octopuses are incredibly charming and amazing creatures. The vampire squid is unusual oceanic areas. The vampire squid is looks like something that swam out of a late-night science fiction movie.The vampire squid is an extreme example of a deep-sea cephalopod, thought to reside at aphotic (lightless) depths from 600 to 900 metres (2,000 to 3,000 ft) or more. 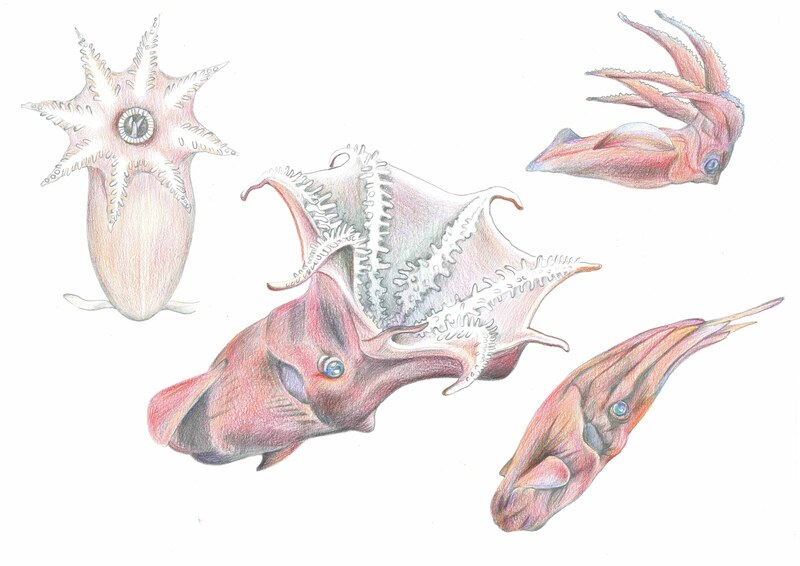 The figure shows the various jelly-like forms vampire squid. Here is a baggy, boneless body that can pour itself into the tiniest spaces, has venom like a snake, can taste with their skin, and can change color and shape. These are amazing powers.